Earn up to 3,679 Points. 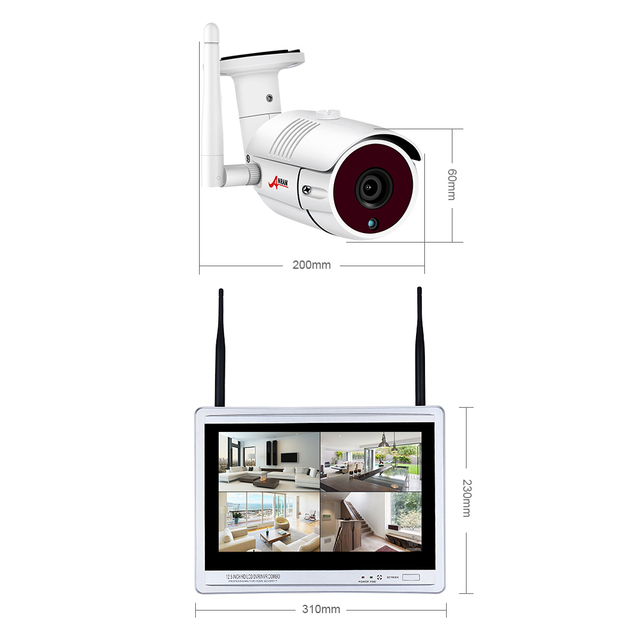 This is an easy to install 1080P high definition video surveillance system which are ideal for home and business security. 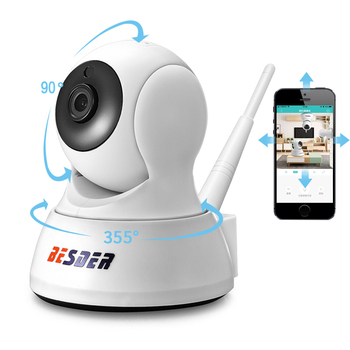 You’ll get astonishing real-time video on your mobile devices from literally anywhere and always be in the know even you’re thousands of miles away. This Wireless Security Camera System with 12 Inch Monitor,you will get 960P HD Images after finished installation and save lots of money to buy extra PC/TV Monitor for connection.It is also available for connecting to your computer display via HDMI cable(HDMI Cable is not provided,VGA Cable is not supported). The camera built-in microphone, support one-way “listen in” record, the use of audio can enhance the security coverage of your home or business with a greater ability to detect and interpret events. 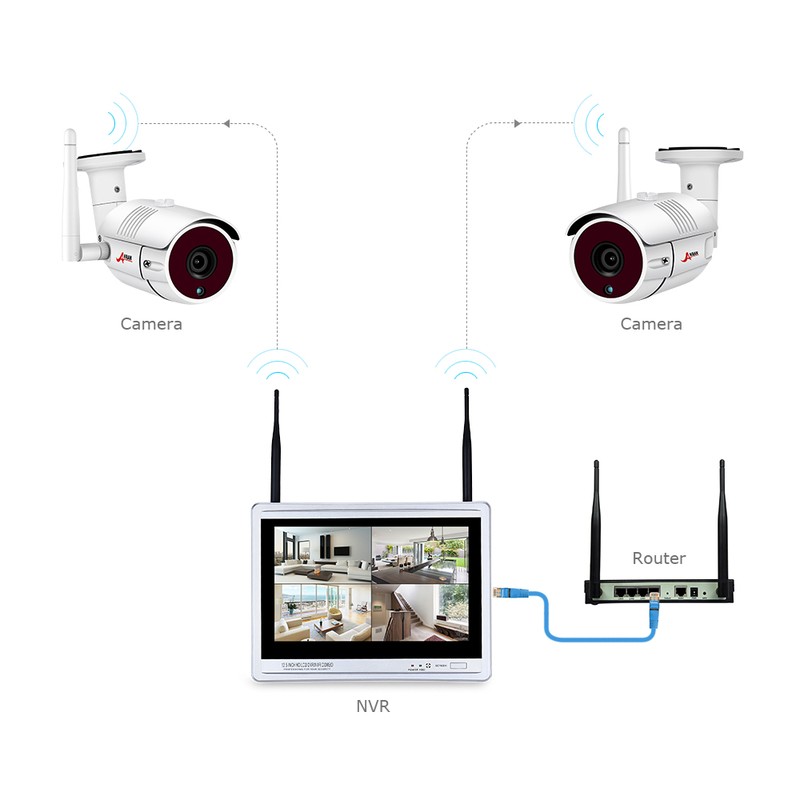 Powered with constant power from nearby outlets, the cameras work 24 hours a day, 365 days a year. 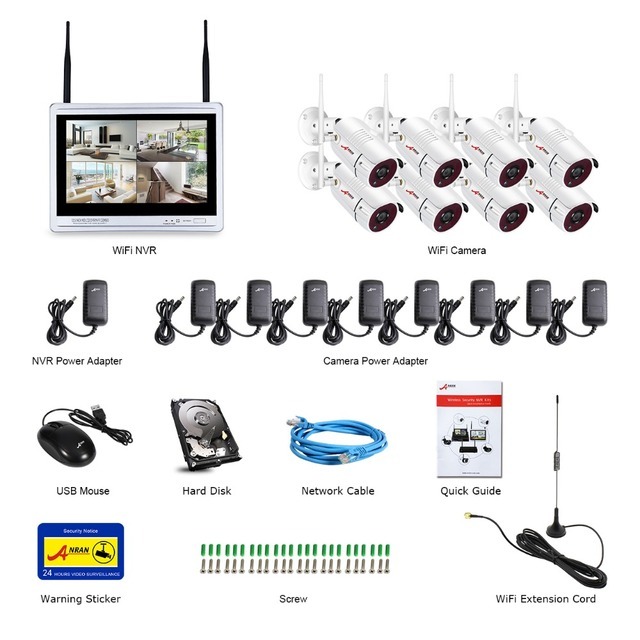 Isn’ t this what you expect from a surveillance system? 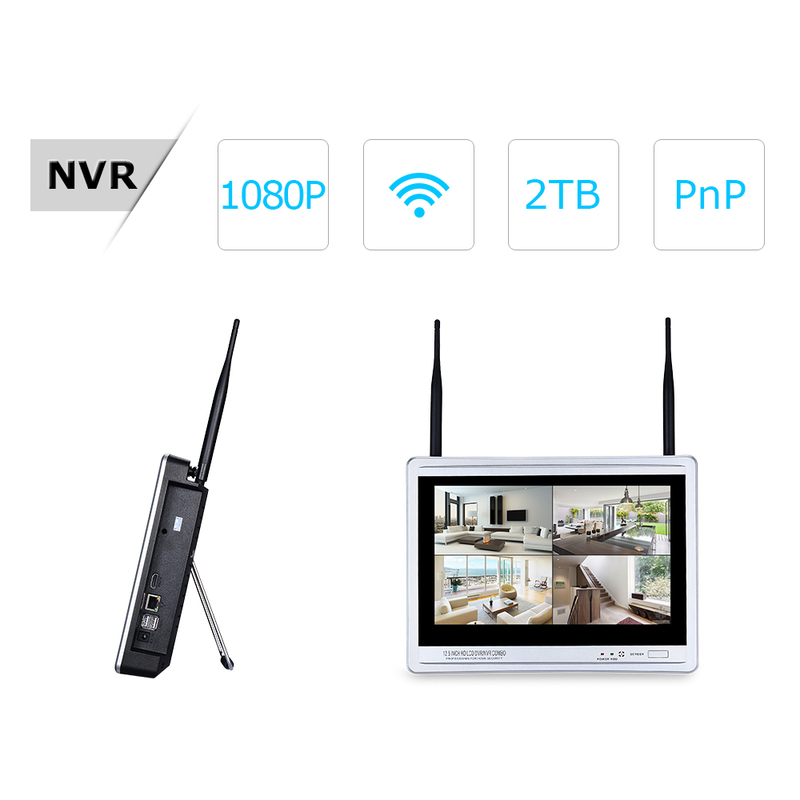 If you want longer recording, try motion detection recording, which will trigger recording only when motion is detected, full save hard disk storage. 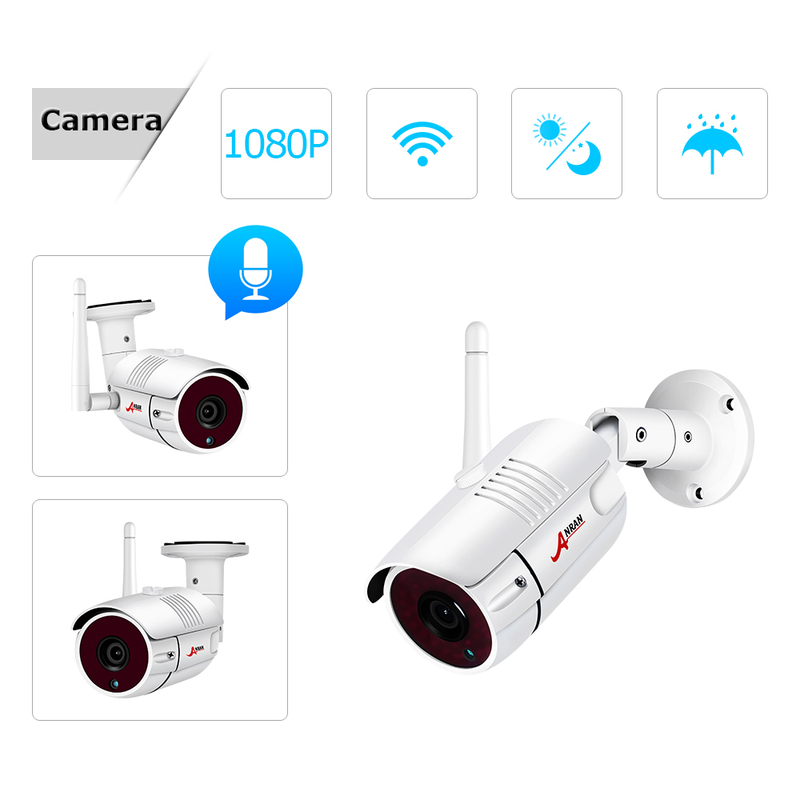 Equipped with 36 IR LEDs, the camera provides clear 100ft(30meters) night vision with uniform luminance, low power consumption and longer service life. With the free app you’ll know that’s happening even when you’re not around, Receive notifications and view live or recorded footage right from your phone.